Back on the Eastern seaboard of the United States, the women’s and men’s tennis teams have continued their spring season with considerably more success than their spring break beginnings. Facing off against five different schools, the women’s team dropped only one dual to Williams. The men, having played seven different schools, also lost only a single dual to Williams. The women began the second leg of their 2018 season at Hamilton on Saturday, April 7, where they crushed the unranked Continentals 9-0. Although the Cardinals played exceptionally in all of their matches, two particularly domineering victories came from Alissa Nakamoto ’21, who won 6-0, 6-2 at number five, and Helen Klass-Warch ’18, who clearly had some food to eat after scoring two bagels, 6-0, 6-0. After the highs of Hamilton came the lows against number-two-ranked Williams on April 8. 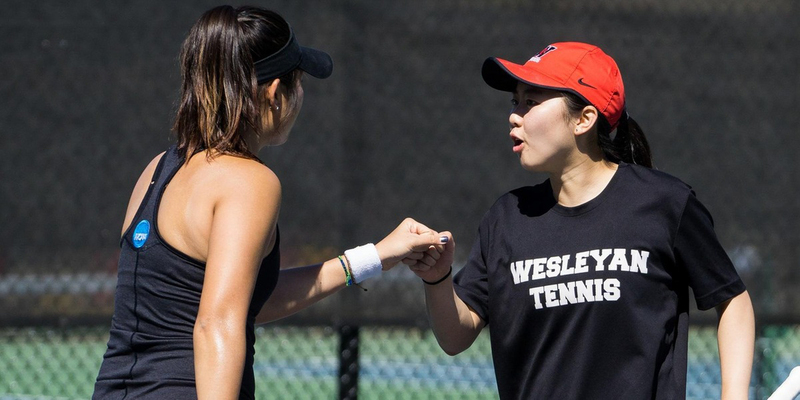 After losing 9-8 at number-one doubles with Victoria Yu ’19, three-time NCAA Division III Singles Champion Eudice Chong ’18 captured the Redbirds’ only victory, defeating Juli Raventos at number one 6-0, 6-1. This is not the first time Chong has faced Raventos, as Chong also overcame her the final of her sophomore championship. All other singles matches were straight-set losses, except for Aashli Budhiraja ’18’s three-set effort at number four singles, which she ultimately lost 6-2, 4-6, 6-1. Williams represented one of the toughest, if not the most difficult, matchup for the Cardinals, but Chong saw the match as an important lesson for the season. Up against the slightly menacing but ultimately inconsequential 29-ranked Trinity on April 11, the Redbirds dominated in an 8-1 dual victory. Exceptional victories over the Bantams came from sister pairing Klass-Warch and Zoe Klass-Warch ’21, who commanded their two doubles match 8-0; Nakamoto, who also baked some bagels in a 6-0, 6-0 thrashing at three singles; and Daniela Alvarez ’21, who preferred to throw a breadstick into the mix with a 6-0, 6-1 victory at six singles. The next true test of the Redbirds’ improvement came against sixth-ranked Tufts on Saturday, April 14. The Cards ultimately prevailed over the Jumbos in a close 6-3 win that was aided by H. Klass-Warch and Nicole McCann ’18’s 8-3 conquest at three doubles; Polina Kiseleva ’21’s 6-1, 6-2 victory at four singles; and H. Klass-Warch’s own, who took a lesson from Alvarez in a 6-0, 6-1 victory at six singles. For Chong, the close victory over Tufts was reminiscent of the team’s defeat of Pomona-Pitzer during the California portion of the season. The Cardinal rampage, or more accurately, pecking riot, continued on Wednesday, April 18 versus the feeble 27-ranked Bates, who the Redbirds trounced 9-0. Kiseleva and Yu governed one doubles 8-1, while Budhiraja and Kiseleva both dominated 6-0, 6-2 at three and four singles respectively. After their poor California showing, the Cardinals’ men’s team is ranked 13 in the nation. While they’re comparatively behind the women’s team, they mirrored the women’s success as they began their East Coast season with an 8-1 rout of unranked Hamilton on April 7. Several important matches showcased the Cards’ grit and determination, with Cam Daniels ’18 closing out a tight 7-6, 7-6 at three singles and Adrian Roji ’21 clinching five singles 5-7, 7-5, 10-6. The hiccup for the Redbirds came, like the women, against fourth-ranked Williams, who they fell to 8-1 on April 8. The Cards sole victory came from a solid 6-4, 6-3 Roji at six singles; all other matches were handled comfortably by the Ephs. Number one singles for the Cardinals, Steven Chen ’18 compared the Williams’ defeat to Claremont-Mudd-Scripps’ loss. The frustrating failure against Williams was quickly remedied by a satisfying 7-2 victory over unranked Trinity on April 12. Win Smith ’19 and Marcus Sweeney ’21 captured two doubles 8-4, and Andrew Finkelman ’21, runner up at the fall ITA New England Regional Championships, triumphed 6-2, 6-1 in his first performance at the number one singles. The momentum continued versus 15th-ranked Tufts on Saturday, April 14, who the Dirty Birds tranquilized 8-1. Inspiring victories came from Daniels and Chen at three doubles with a tense 9-8 triumph and Princeton Carter ’20 with an invigorating 6-3, 6-0 at six singles. Notably, when he plays, Carter needs no supporters–he consistently motivates himself through thick and thin. Next on the chopping block, or perhaps in the bird feeder, was 19th-ranked Swarthmore, who the Dirty Birds vanquished 8-1. Top victories came from Carter and Tiago Eusebio ’18, who conquered one doubles 8-5, and Chen at one singles, who triumphed 6-0, 6-2. Most recently, the Redbirds showed little mercy for 24th-ranked Bates on April 27, obliterating the Bobcats 9-0. 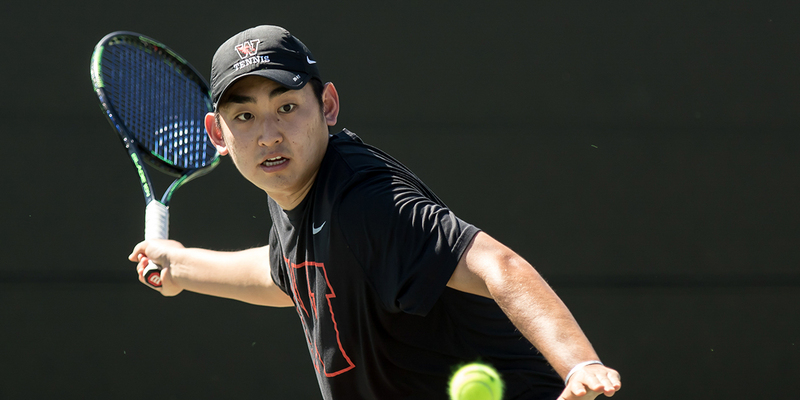 Standout performances included a neat 8-3 victory from Chen and Daniels at three doubles and a 6-3, 6-0 conquest from Roji, who clearly had less dough to work with compared to H. Klass-Warch and Alvarez. Looking forward, both teams face mighty and fearsome top-ten-ranked opponents this weekend as the Cardinals invite Amherst on Saturday, April 21 and then Middlebury on Sunday, April 22. In spite of the intimidating disposition of the Mammoths and Panthers, Chen was excited to prove the Redbirds’ worth on the court.